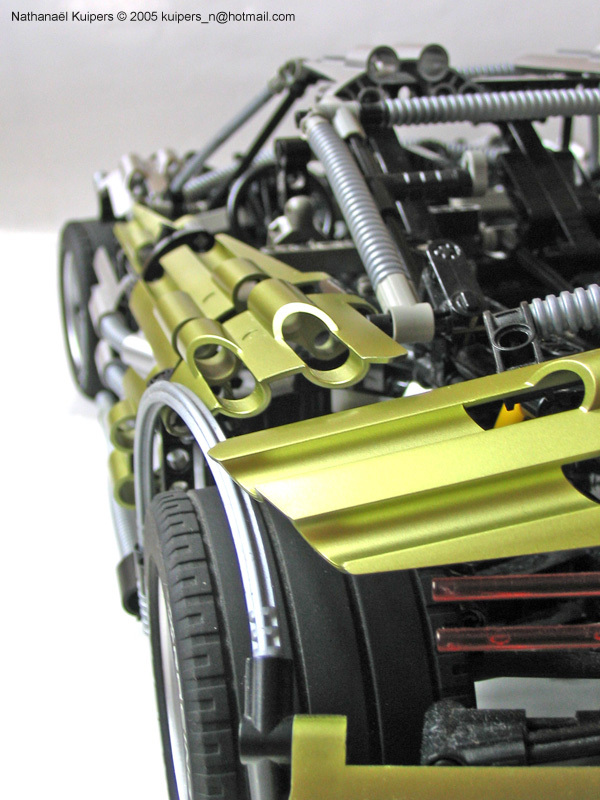 Nathanael Kuipers (NK) is known for some of his large Technic cars, either built outside and inside TLG. I won't mention Supercars, to avoid any confusions and misinterpretations here, as some are not exactly in that class of models. 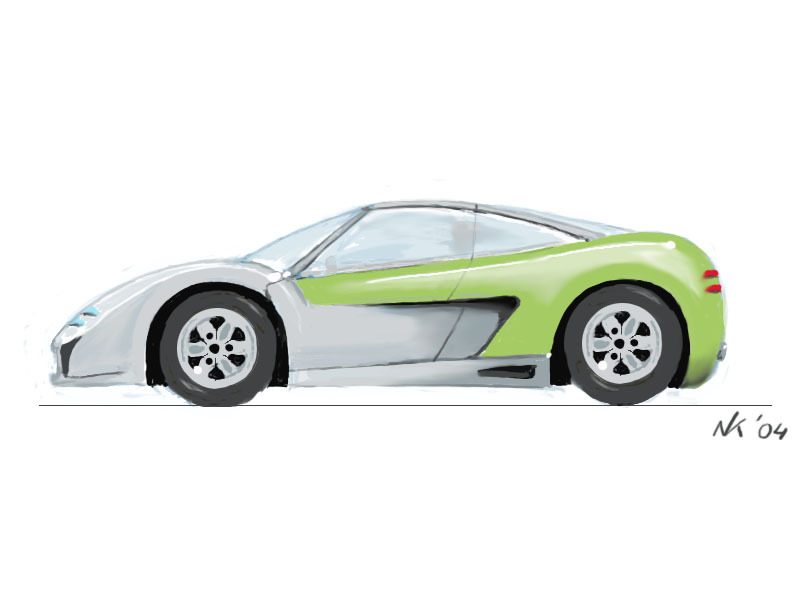 But one of his Supecars is an AWD Convertible with Double Wishbone suspension and Butterfly doors (guess they are not exactly Scissor doors). This is a MOC built with parts from two mythic LEGO Technic cars (8458, Silver Champion and 8466, Off-Roader). 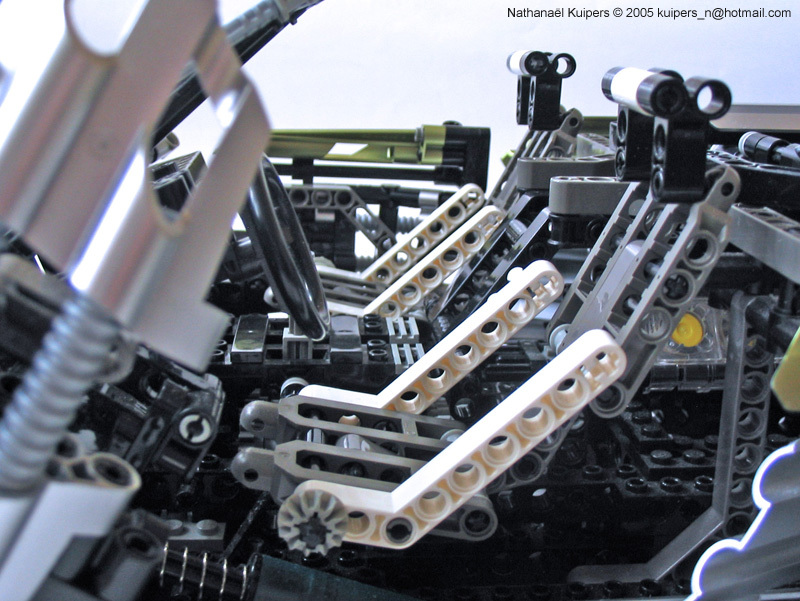 You may find several photos, the LDraw model and partial photo instructions, at Nathanael's Brickshelf folder. 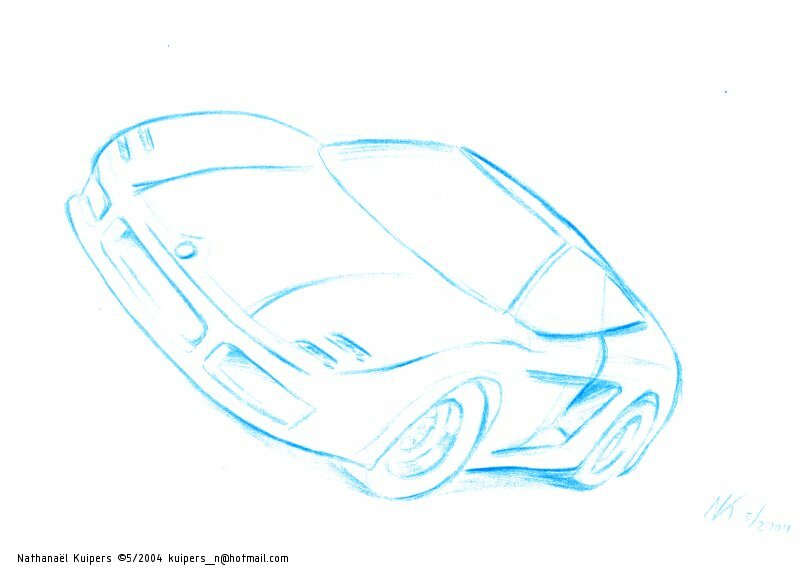 But the relevance from the story, came from the fact that he took more than 5 years to finish the LDraw file for this model. But for the satisfaction of some, he finally did! So that the renders start to appear immediately... Bellow on the left one render produced by Blakbird and the one made by Nathanael on the right. Yep, they're awesome! 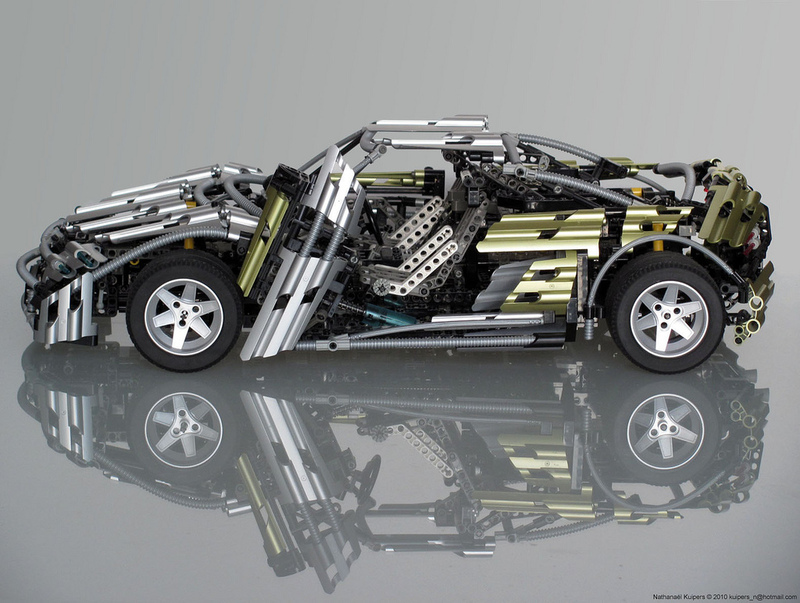 :D They make me wish that LEGO would release another TECHNIC Supercar. This is still one of the best supercars today, altough it's 5 years old. When looking Nathanaël render, they are nearly perfect round so it's possible! As I said before, your renders are great ( so don't take it to hard ) but if there is any room for improvement, then it's this. The left picture from Nathanael is not a render. It is a (very good) photograph. For my render, I actually created all the flexible elements myself which are now in the file Nathanael has posted. I'm aware of some flaws in the geometry, but I didn't have time to make them any more perfect. My main goal was just to get them in there so that people could build the model from the file. 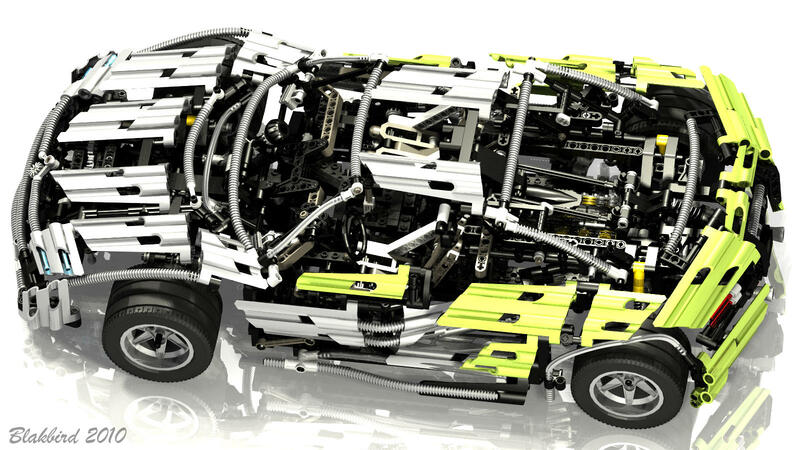 There's more renders of this car at Brickshelf. Now I can't decide whether it is a render or not. If it is a render, it is one of the best I've ever seen. But Nathanael has the same CAD file I do, so I don't see how it could be. Additionally, you can actually see some of the molding marks on the parts which are certainly not part of the CAD file. On the other hand, if you look at the axle coming out of the front wheel, you can see that it is not quite centered which is impossible in real life. Render or photo? Only Nathanael can say for sure. Thanks guys! What a privilege it is to be blogged again. I'm pleasantly surprised that this car is still so much appreciated after 5 years. 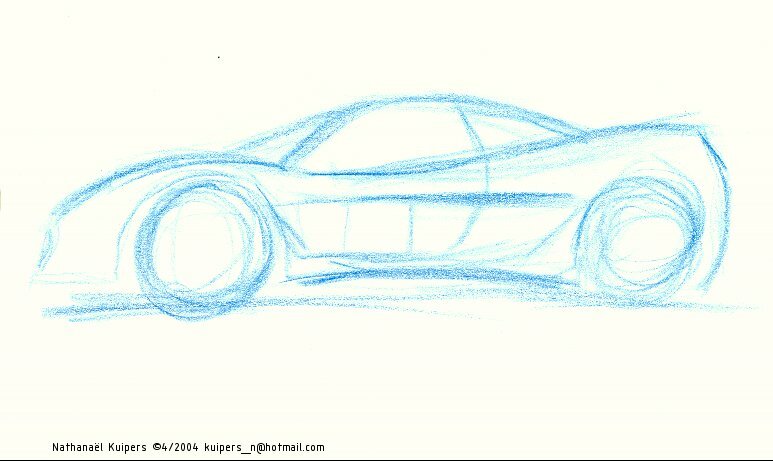 Someone contacted me and was so enthousiastic about the car, that I just had to finish the CAD file after all this time. So for a few weeks I did a section every weekend and before I knew it was pretty much done. Blakbird was so kind to help me out with the flexible bits that I just couldn't be bothered about. This model does actually have scissordoors (and not butterfly), but a special kind which as far as I know can only be found on a Koenigsegg, a Swedish supercar. Wonder how do you manage to take a picture with all that stunning effects. I have mixed feelings on that one. Firstly, it uses parts not from sets 8458 an 8466 which is cheating a bit. But more importantly, if you look up parts availability in Peeron you will see that those smooth panels do not exist in silver. It is hard to tell from the picture, but some of them are dark gray and some of them are pearl dark gray so the car does not really match. It is cool though. I suppose you could make the whole thing in another color such as blue or red. And I did spot why this particular picture is Black and White.